It’s the year of the dragon. I’m very fortunate to be born on the year of the dragon. Dragon Career: “Your enterprising personality and sheer enthusiasm are perfect for the year ahead. It’s your time to shine! Important changes could take place with work — a promotion, a shift in responsibilities or even an entirely new job.” according to Yahoo Horoscope. To start my year off right, I’m doing pro bono work. 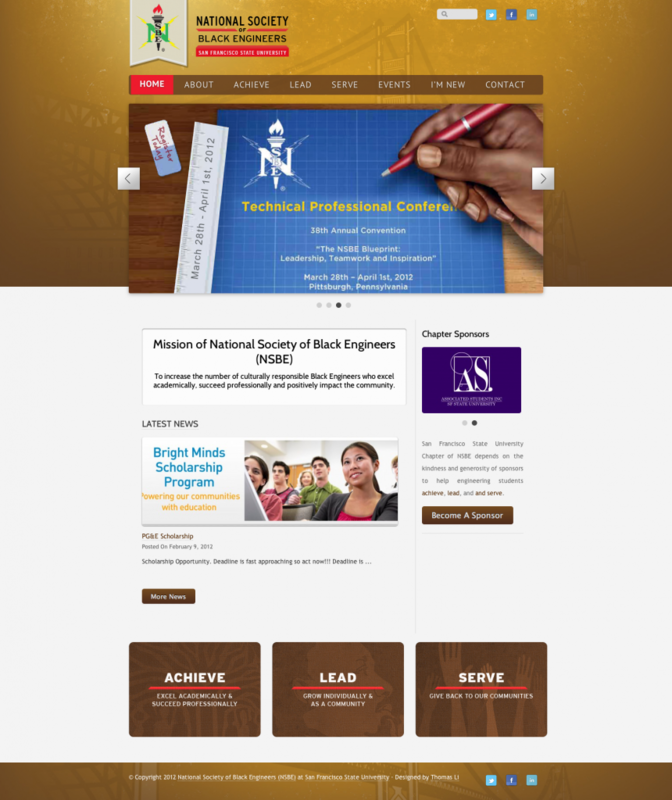 Today, I present to you the National Society of Black Engineers (NSBE) at SFSU website. My dear friend Jasmine Williams approached me a about the website over Christmas dinner and I agreed to help her revitalize her chapter with a complete overhaul. Her organization had plenty of brawn, but no creative designers. She spoke to me about the mission of NSBE and how the org helps promote diversity in engineering. So for the next two weeks, I dug deeper into the org, reading their convention program, magazines, online publications, and browsed other NSBE websites. 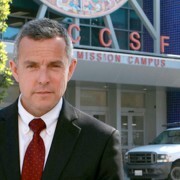 It occurred to me that the org can be summed up in by the three key areas of focus: achieve, lead and serve. And the Heritage Award goes to…. New Site: Santos 2012 Website Launch!